Sunny is a 23 pound, 17 inches tall, handsome Parti (Moyen Sized) Poodle. 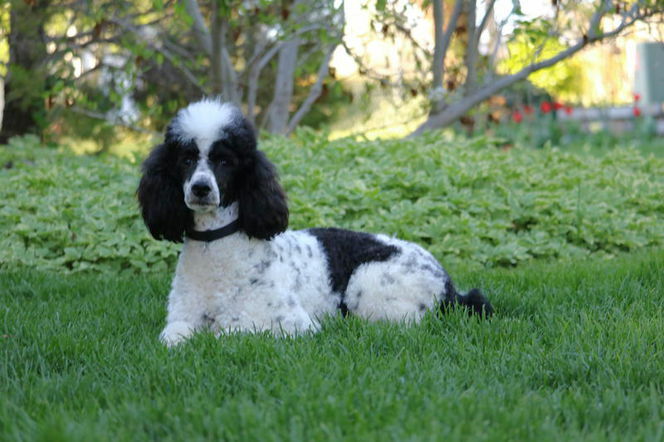 He is AKC registered as a standard poodle. He is DNA tested for PRA-prcd, Degenerative Myelopathy, von Willebrand's disease. He is clear of all of those. He has also been Coat tested and is carrying the brown, black, and white colors, or a combination. 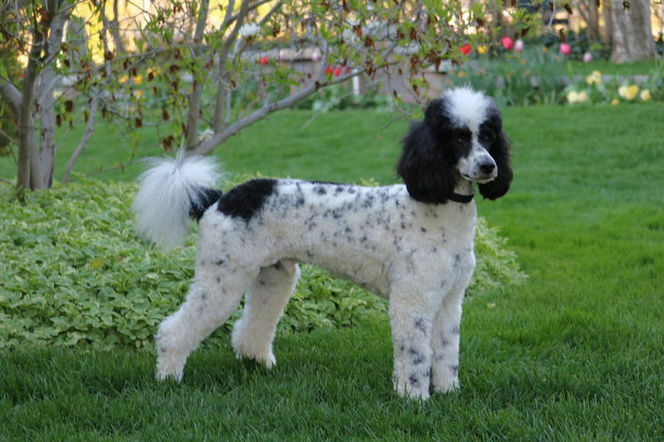 ​Sunny's father (Pierre) is a moyen size white poodle and mother (Molly) is a parti moyen sized poodle. Sunny is an extremely quiet and fun boy. He is extremely smart and analyzes situations before reacting. He is very affectionate and is a joy to be around.